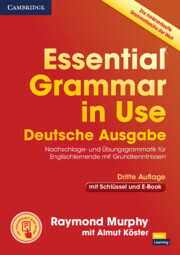 Essential Grammar in Use German edition is a self-study reference and practice book for elementary-level learners (A1-B1). The book is simple, easy-to-use and is perfect for independent study, covering all the areas of grammar you need at this level. Every unit includes a translation exercise, allowing you to translate examples of each grammar point from German into English. This new edition, with updated content, also comes with an interactive ebook. 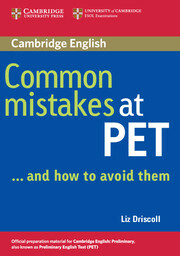 The ebook is in English, with the same grammar explanations and exercises found in the printed book, plus other great features such as audio and an easy-to-use answer key.